Walkabout Air Executive Jet Aircraft Chartering Services Tampa, fl- Family and corporate chartering services, private jet charters Florida. Walkabout Air is about service and convenience. With aircraft located in Tampa we are a full service aviation company with capabilities ranging from aircraft charter to sales and management. At Walkabout, you are in control of your travel schedule. When you fly with us, the uncertainty of flight availability, overbooking and waiting in long lines are eliminated. Our experienced staff and flight crews help you save time and avoid hassles, while providing the utmost in safety, security and luxury. We exceed the maintenance standards required by the Federal Aviation Administration, and our pilots meet the same demanding training requirements as the national air carriers. Whatever your air travel needs are, Walkabout Air can help. 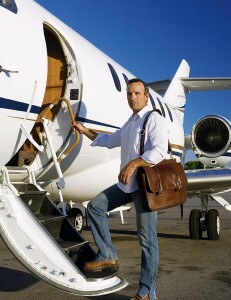 We'll plan your trip from beginning to end, we'll assist you in locating a buyer for your aircraft or help you acquire and manage the aircraft you've always wanted. At Walkabout Air, our diverse fleet of high-performance aircrafts and staff of skilled aviation professionals strive to exceed your expectations every time you do business with us. Owning and operating an aircraft is a significant undertaking. At Walkabout Air, we take the complexity out of aircraft ownership, leaving you free to enjoy your investment. Our expert staff is prepared to handle all of the details, from maintenance to recordkeeping and provision and training of flight crew.